This beautiful item requires the use of special couriers to make sure that it arrives safely. Please call us and we will provide a delivery quote for this item, which will depend on your distance from our premises in Corby in Northamptonshire. The most detailed globe the world has ever produced. Part of the Heirloom Collection, the Diplomat is considered to be Replogle's flagship piece and is second to none in terms of detail, design, beauty and functionality. Search the world over and you will not find a better example of the globemaking art. 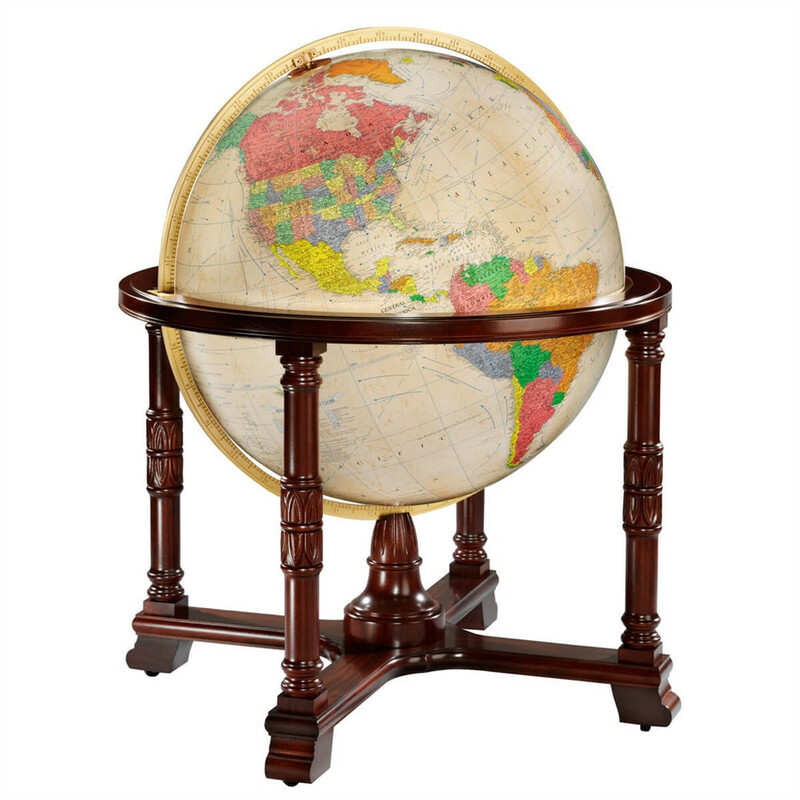 A handcrafted masterpiece, this extraordinary globe features lavish attention to both form and function. The hand-crafted, solid hardwood finished in mahogany emphasises the Diplomat's uncommon beauty. Each part of the cradle is individually turned and engraved by some of the best craftsmen in the world, taking a team of people a month to produce. Distinctive details include rich, ten-colour cartography and a solid brass, hand-engraved meridian. 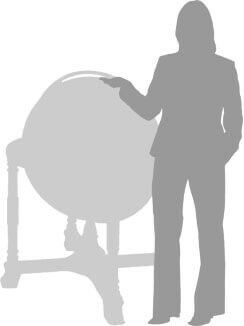 A comprehensive 32" diameter globe ball featuring over 25,000 place names, ranks the Diplomat as the world's most detailed globe. A perfect blend of aesthetics and function.